Roozen & Meyers Consultancy is the professional association in the Netherlands and other parts of Europe targeting on the promotion and diffusion of Community Reinforcement interventions. 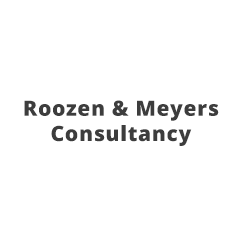 Roozen & Meyers Consultancy is committed to disseminating a caring, scientifically proven, and recognizable addiction treatment service, based on continuously enhancing knowledge, fidelity and skills of performing Community Reinforcement based treatments successfully, in order to attain the best treatment outcomes for patients with substance use disorders and related problems. Disclaimer: Cadence Online maintains this website to provide information and educate the internet community. The information contained in this website is for general information purposes only, is subject to change as new research becomes available, and is not a substitute for professional medical advice, treatment, and/or guidance by professionals. While we endeavor to keep the information up-to-date and accurate, we make no representations or warranties of any kind, express or implied. Any reliance you place on such information is therefore strictly at your own risk. Always seek the advice of a physician or other qualified mental healthcare provider or expert before making any decisions about your health care options.